Tennis superstar Serena Williams has teamed up with Bumble, one of the leading dating apps for women, in their newest initiative called the Bumble Fund that primarily funds startups led by women of color. Williams, a global advisor for the app, has expanded her efforts and is now an investor as well! "I've learned how impactful one woman's voice can be when given a platform to speak and be heard. I am passionate about building on this progress and opening doors for women of all backgrounds, especially women of color, to share their message and trust in their potential to accomplish great things," Williams said in a statement. "By joining forces with the Bumble Fund, we will continue amplifying female entrepreneurs and creating a place for them to personally and professionally champion their growth." The partnership was first revealed in a 2019 Super Bowl commercial which starred Williams herself. She initially joined Bumble as a global adviser for the app that encourages women to "make the first move," a unique feature of the dating app. Most recently, it was announced that Williams will also become an investor for the Bumble Fund with a specific goal to invest in female founders of color. The fund, launched by Bumble founder and CEO Whitney Wolfe Herd, aims to end bias usually encountered by women of color and underrepresented groups in venture capital. 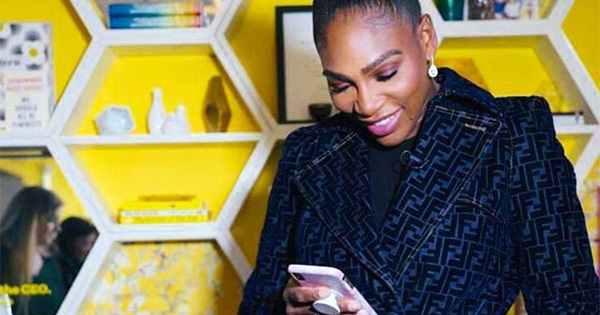 "Partnering with Serena Williams has been a dream of mine since we launched Bumble as she is one of the most inspiring women in history and a shining example of someone making the first move in all facets of her life," Wolfe Herd said in a statement. "She is the epitome of strength, integrity, kindness, empowerment, and everything Bumble stands for." As an investor, Williams gets to join Wolfe Herd as a judge for Bumble Fund pitch competitions. Applications for it are accepted through Bumble Bizz, a feature on the Bumble app, as well as Alice, an AI-powered platform that the company has also invested in.